Experience Yosemite Wilderness and live for a few days in the backcountry as John Muir would “while cares will drop off like Autumn leaves”. 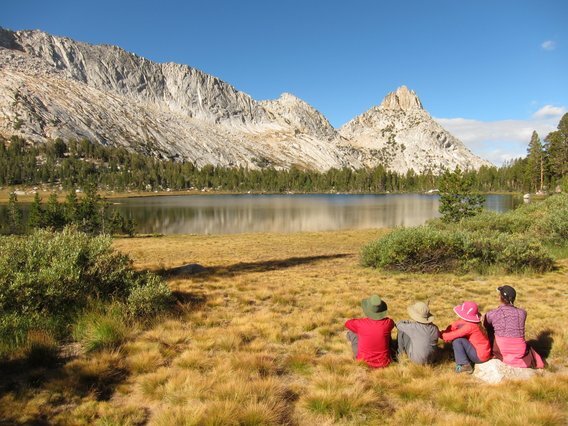 Our backpack trips allow you to unplug and decompress while you literally follow in Muir’s footprints throughout Yosemite’s wild Sierra. Times may have changed, but the wilderness continues to attract many a hiker. Allow us to bring you to some of our favorite spots as we ramble through the high country. We offer two to five day trips tailored to fit any back country experience you desire. Private tours are available. Backpacking outings are offered throughout the year. Please call (209) 532 7014 or toll free (800) 886 8009 for their availability. Prices vary based on size of group and number of participants. We are currently applying for permits for the 2019 season. Here is what we have so far. What to expect: We can provide tents, backpacks, and all necessary gear for your trips. We always will design a menu, prepare all the food, and obtain the permits for you. We’ll send you a gear list once you begin planning your adventure with us so that you know how to prepare. You also get to make choices about how you’ll eat on the trail, we’ll send you a menu with options and you can tell us your dietary preferences. Our hikes are flexible. We have the option to add days or shorten trips. Individual trip availability depends on current weather, snow, and fire conditions. Daily mileage will vary according to the itinerary you choose. With the hustle and bustle of modern life thousands of feet below and many miles away, time has nothing to do but slow down. This gives you ample time to appreciate the high country in all its glory. Whether it is the alpine meadows overflowing with wildflowers, or the best crystal clear swimming holes known to mankind, you just can’t go wrong. Our richly experienced guides hope to offer insight into the many facets of back country living. A few examples include the creation of simple delectable meals, ways of streamlining your gear, and the practice of various techniques that will minimize physical strain and allow you to feel at home in the mountains. 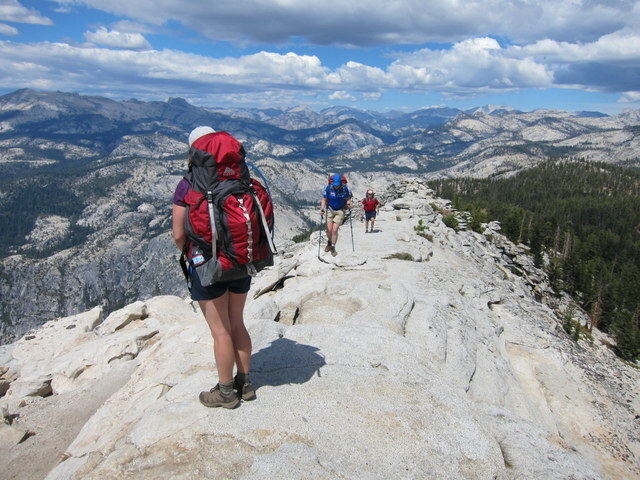 Note: Many of our backpacking trips can also include a permit for a Half Dome summit attempt at no extra charge. It must be a reasonable destination according to the trip itinerary.